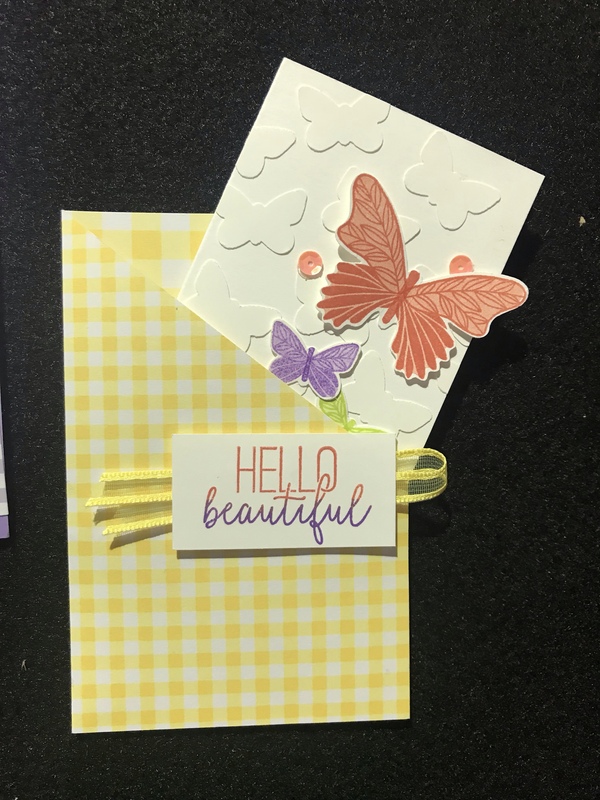 2018 Stampin’ Up Convention Recap! 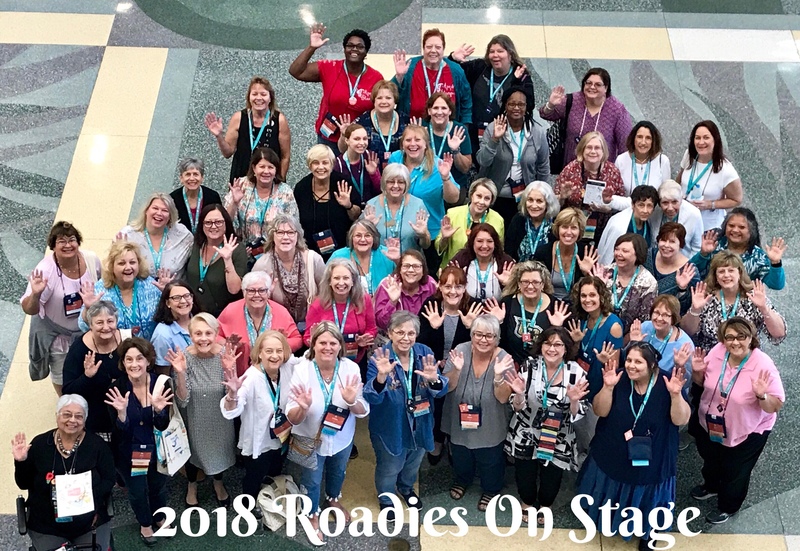 My team are affectionately known as Roadies since my team name is Where The Rubber Hits the Road. We had 72 Roadies attend this week and we managed to get almost all of us in the team photo above! A little tricky but with the help of a friend on the 2nd floor, we all got in the frame! 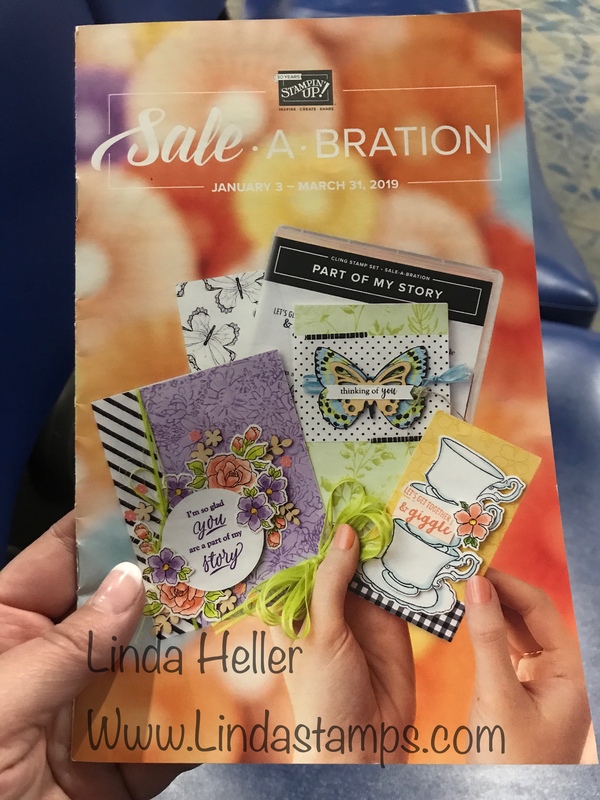 and Sale a Bration catalogs early! We haven’t even made it through the holidays but as demonstrators, we have to keep a little ahead to prepare for the next season. These will begin January 3rd! 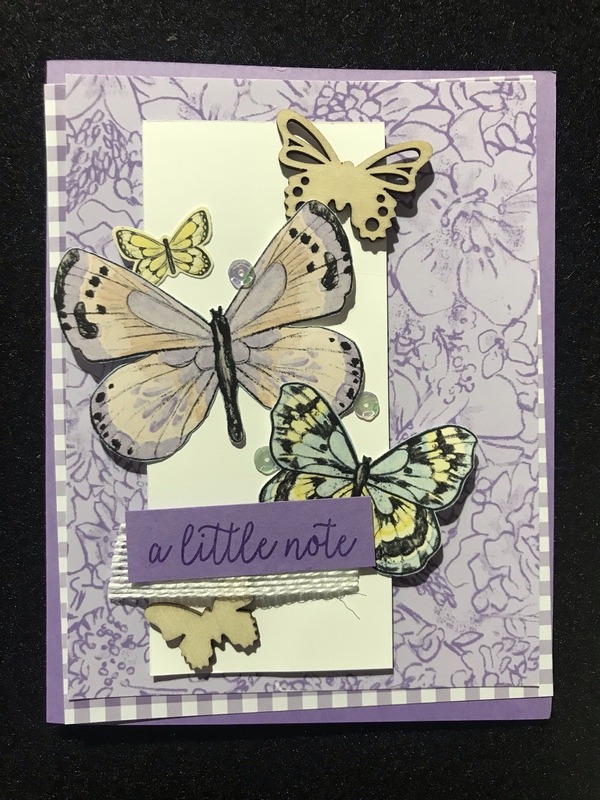 Lots of butterflies, hearts and flowers and several that I predict will be popular. 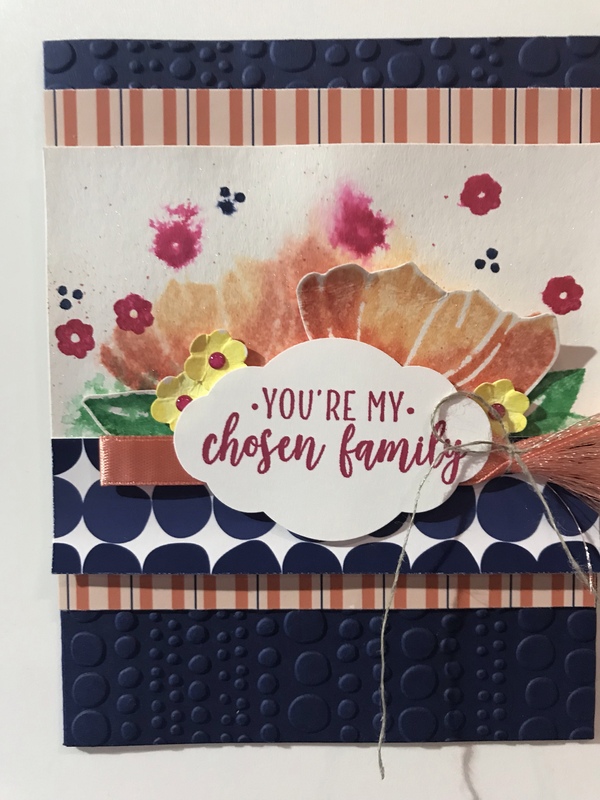 Here are a few sneak peeks of some things I really liked and some news! We also heard some VERY good news that you may find exciting! Some of you (depending on the state you live in) have trouble with our stickers on our rubber stamps staying on the acrylic blocks. I know in Florida, they can fall off easily if you don’t keep the blocks clean and press firmly when adhering. 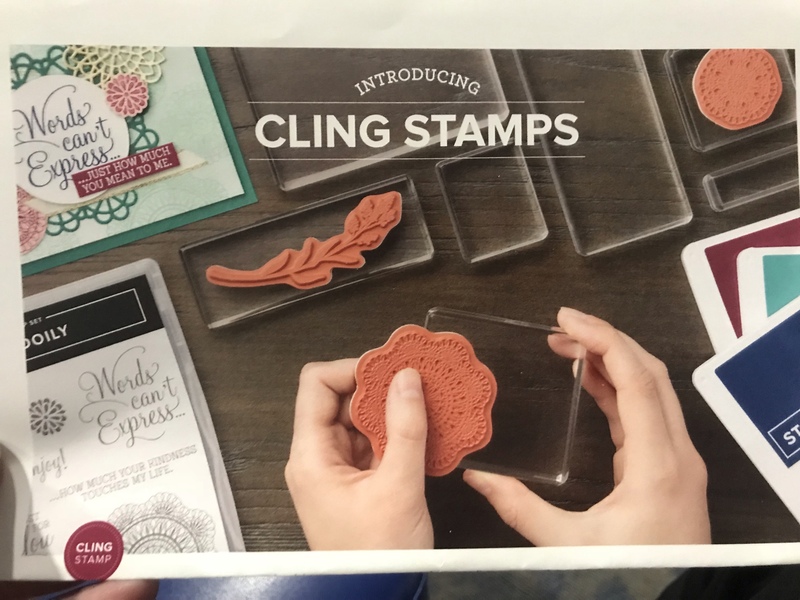 Stampin’ Up is changing the sticker AND the name to Cling Stamps! Personally, I always found the name ‘clear mount’ for rubber stamps confusing. 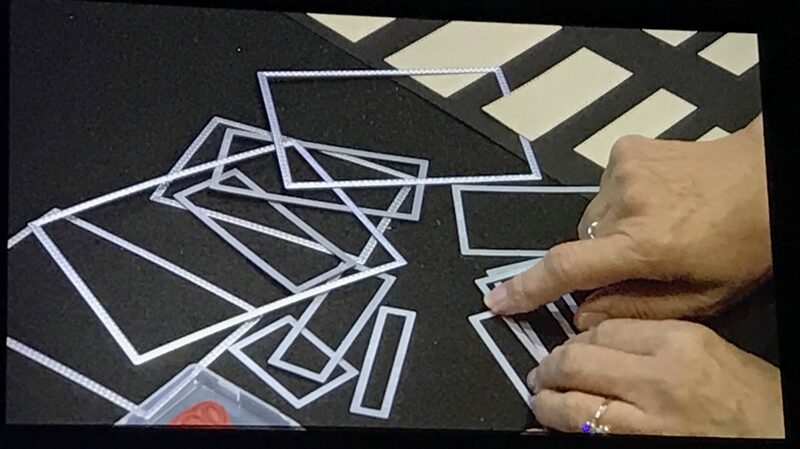 I know it was supposed to mean mounting to a clear block but to many, they sounded like they were supposed to be clear stamps. So hopefully this will help! 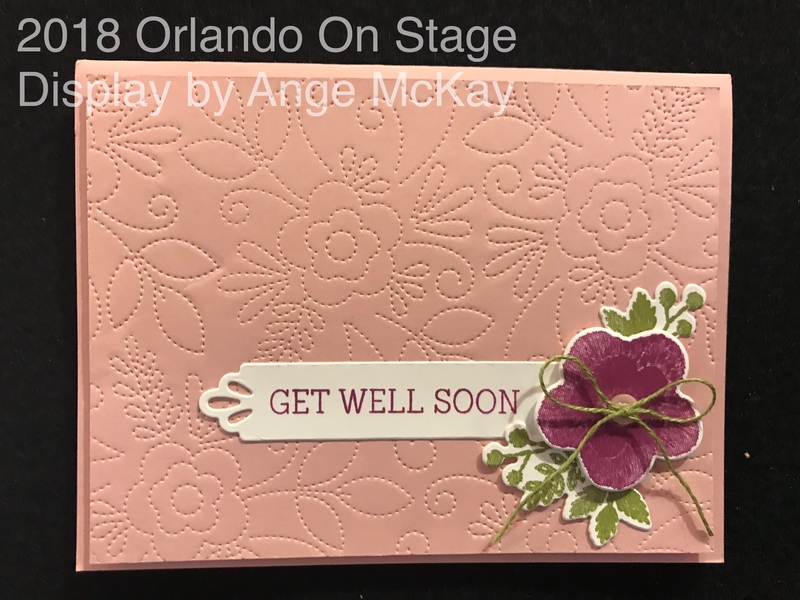 Everyone will get to experience the new material on all the rubber stamps in January in the Occasions and Sale a Bration catalogs! We were able to use them this week and I can tell you, they STICK LIKE CRAZY! Almost too much LOL (I had images of that Crazy Glue guy hanging from his helmet from a beam!) I can’t wait to put them to the test. When I checked in, I was so delighted to receive a gift from SU for being #21 in the US and #42 Global (world)! 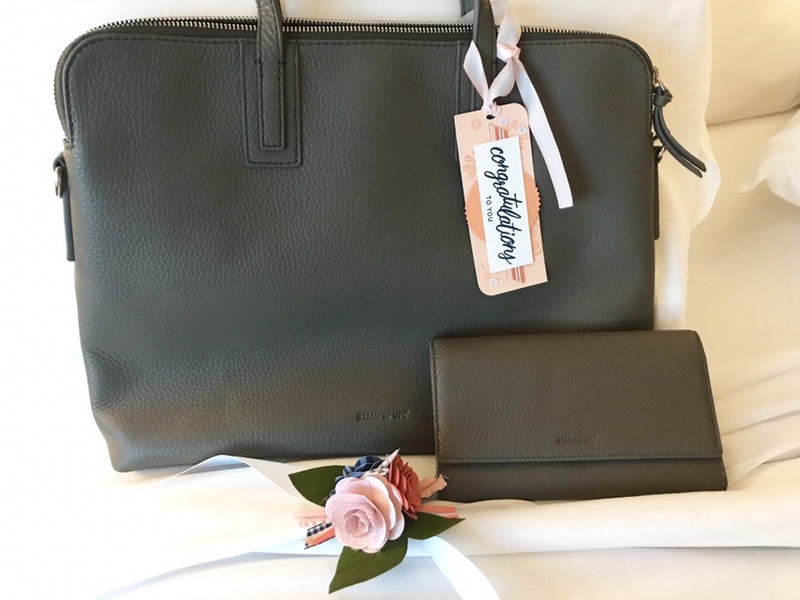 It’s a beautiful leather purse and wallet in a granite gray color. I’m so thankful for my customers and team that helped me place again this year! The butterflies are back! 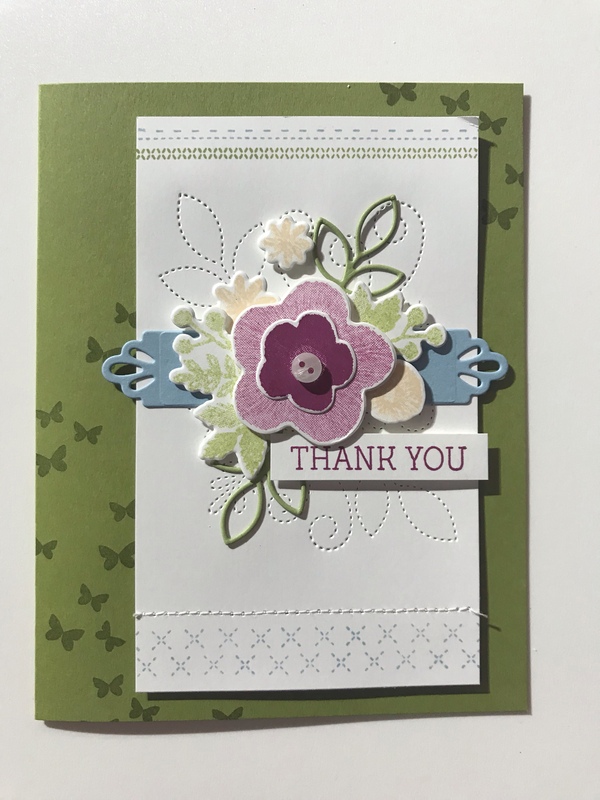 In a new punch AND framelits and a few new stamp sets! 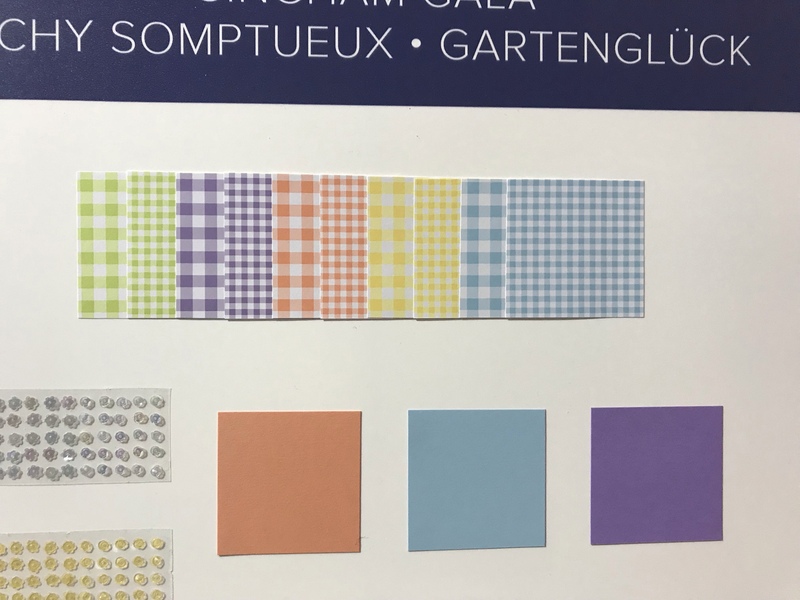 Oh and the Gingham Gala Suite….small checks and big checks and LOTS of butterflies there, too! 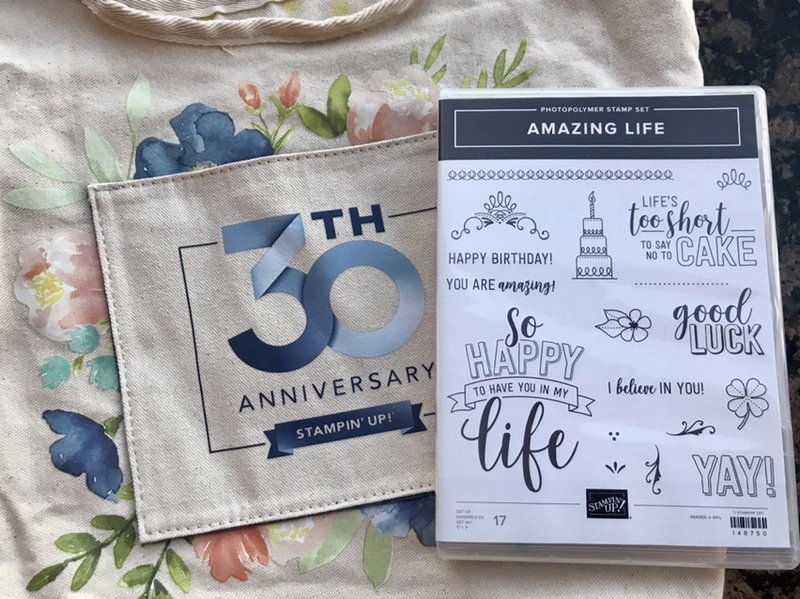 When we checked in, we received this pretty canvas anniversary bag and a really great stamp set! Love the fonts! Did you know there are 2 demonstrators named Linda Heller? My plane has pulled in and I need to wrap up my post! where I posted a lot while I was there! 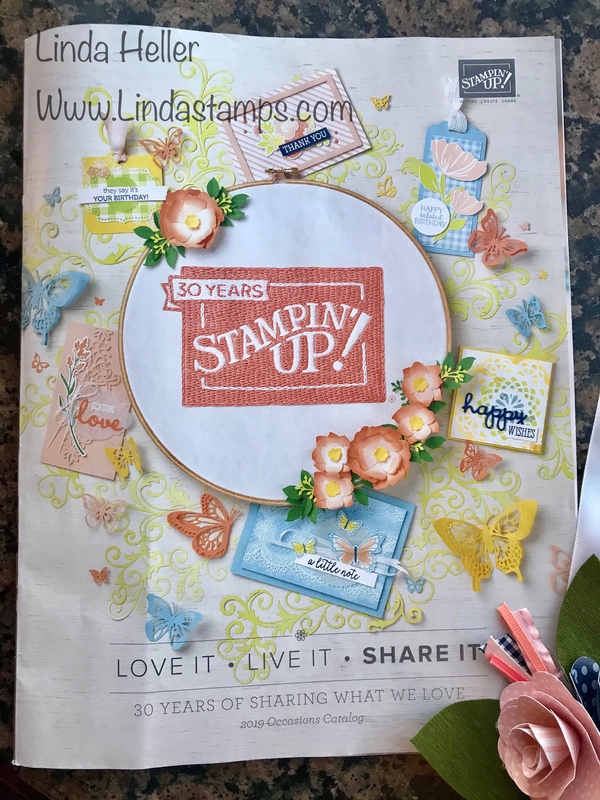 3 Responses to 2018 Stampin’ Up Convention Recap! Thank you for always sharing your events. So fun! also may I say…*gasp! I ADORE that leather purse and wallet! The color is stunning too! Congrats Linda! Biggo hugs! 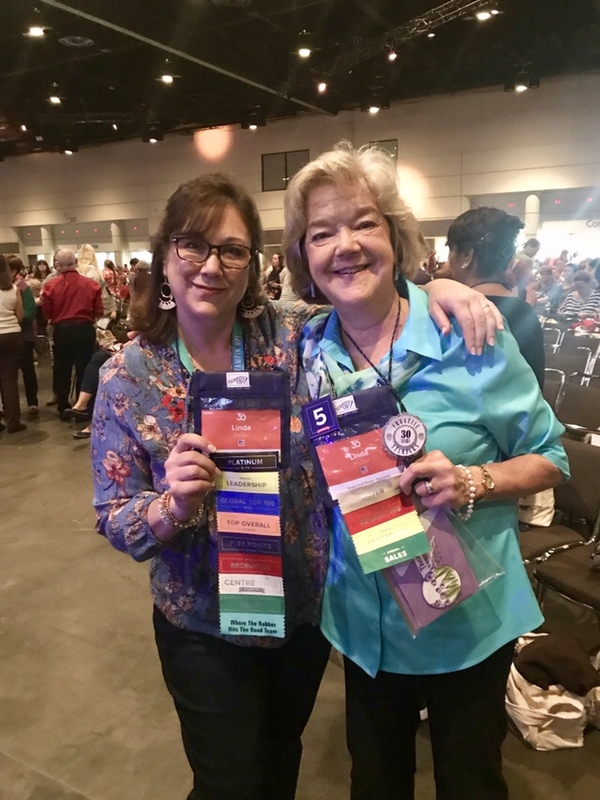 Thanks for sharing your SU convention experience!